Time lapse ancient fortress in the rays of the sun and running clouds. 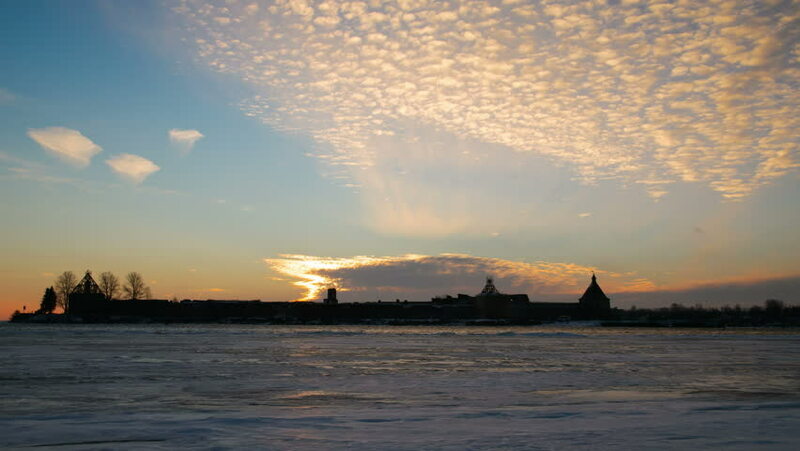 Historic castle Oreshek on island of lake Ladoga in Leningrad region of St. Petersburg. Mystical panorama ancient farpost.